We are starting a new year and everyone is talking about productivity tips, getting things done and goal setting & planning. And that’s perfect for people like me, who quit their job and are working full time in their projects. But the most common situation is that you may have your busy daily routines, your corporate job, your family and your responsibilities and can’t find the moment to get things done. 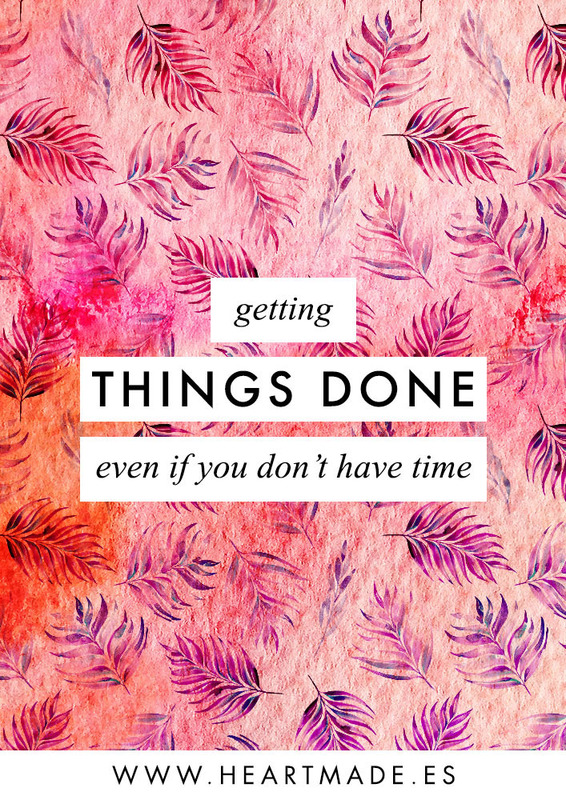 Even though I’m working full time in my business, I still feel I don’t have enough time to do all what I wish. And that’s why today I decided to share with you 3 tips to get things done when you are too busy and you feel you don’t have time. It’s a free guide with super useful exercises that you can implement to your daily routine and discover how to avoid procrastination and become more productive!